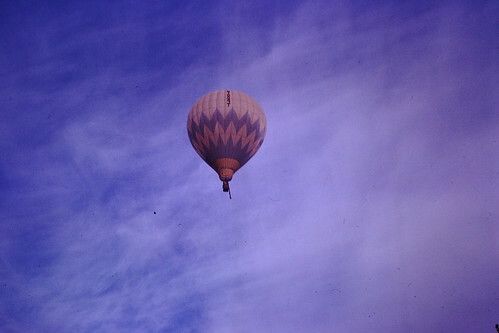 These are photos, taken by my Dad back in the 1970’s I think, of the Albuquerque Balloon Festival when it was just getting started and has now turned into a big international event. We lived in Albuquerque back then and the Festival caused quite a stir. There were lots of fender benders all over town because people were looking at the balloons instead of the road ahead of them as they drove. We had balloons come down in the neighborhood. It was all very exciting. 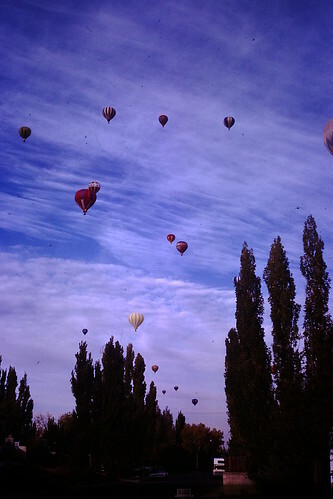 I thought there was nothing more beautiful than all the colorful balloons in the sky. Now I understand the sky is full of them. Photo displayed under Creative Commons License on Flickr, by Peggy and Joe Ghiloni who retain all rights. So maybe one day I will go back. 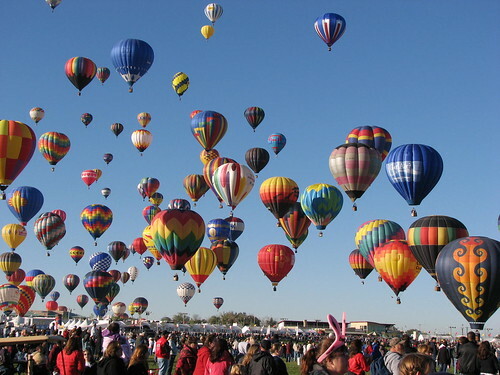 Check out the Balloon Festival web site for more information. Let me know if you are going. Apply for media credentials. Tell me if you get them. 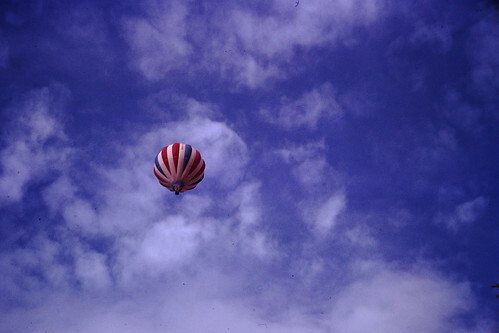 This entry was posted in Skywatch Friday and tagged "Old Slides" "Dad's Photographs" 1966 Film Analog Dad, Albuquerque, Albuquerque Balloon Festival, Analog, Film, Hot Air Balloons, New Mexico, Skywatch, Slides on August 18, 2016 by Alan Bates. 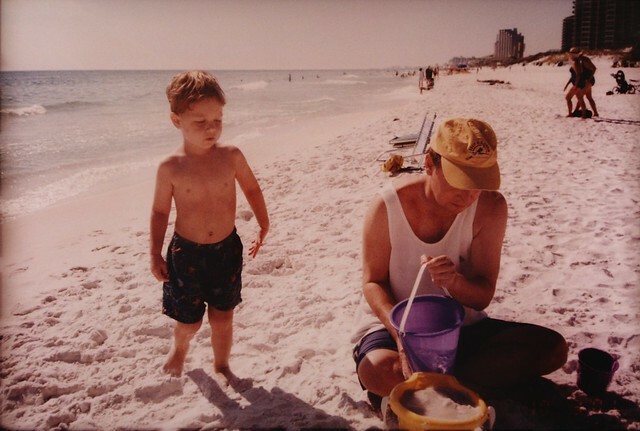 This entry was posted in Wordless Wednesday and tagged Analog, Beach, Destin Florida, Film, Florida, Sand Castles, Scans, Throwback, Vacation on July 15, 2015 by Alan Bates. If you are looking for a fun animated movie with a little depth this weekend check out Inside Out by Pixar. It is a fun flick. The movie is out a little girl, Riley, who leaves a happy life in the midwest to go to San Francisco so her Dad can start a new job. Well, San Francisco doesn’t have her friends and everything is new and it is all overwhelming and things start to get out of control at home and at school. In an imaginative twist most of the action of the movie takes place in Riley’s mind where the characters of Joy, Sadness, Fear, Anger, and Disgust are all vying for control of her mind as Riley deals with the changes she is encountering. It really is a fascinating movie and is very well done. It is rated PG and is okay to take all but the most sensitive little ones. And there is more. The best part of seeing the movie may not be the movie itself but a “short” feature before the movie. It is a wonderful little film called “Lava” about a volcano who for millions of years sings for someone to come “Lava” him. It is just a few minutes long but it kind of steals the show. The short is utterly charming and gets one in the right mood for the feature. Check out Inside Out’s web site. Lots of fun stuff to look at there. 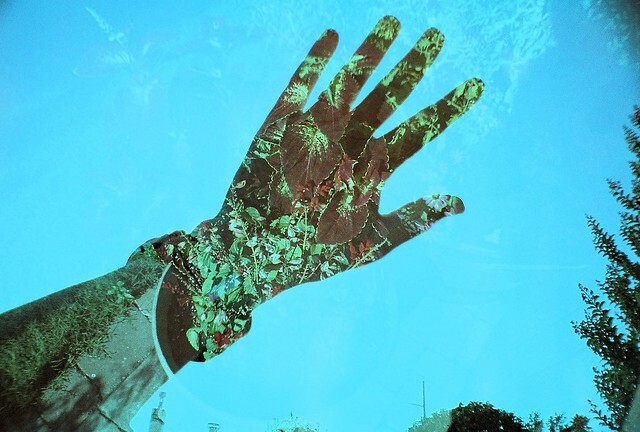 This entry was posted in Movies and tagged Film, Movies, Pixar on June 26, 2015 by Alan Bates. 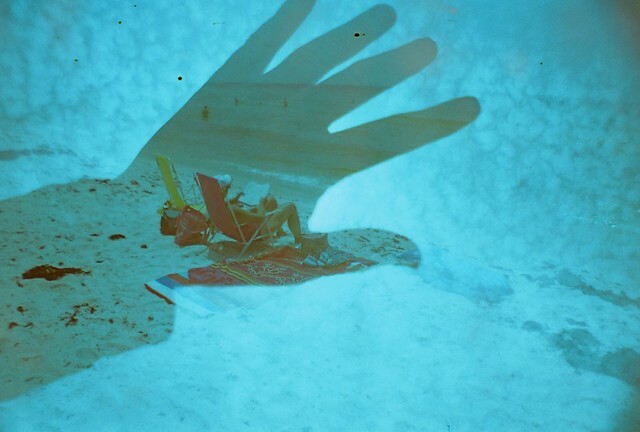 This entry was posted in Lomography and tagged Double Exposures, Film, Lomography on July 8, 2014 by Alan Bates.